La técnica de cinta de cobre también es llamada Tiffany por la modificación que hizo Louis C.Tiffany de la técnica del emplomado. Consiste básicamente en bordear piezas individuales de vidrio con cobre y unirlas entre sí con estaño. No se requiere de gran precisión en el corte del vidrio como en el emplomado. Esta técnica es recomendada para la elaboración de lámparas. En este curso introductorio el alumno realizara una pieza con cinta de cobre de 40 cm. X 40 cm. aprox. Aprenderá la técnica del corte de vidrio, el uso de herramientas, elegir un patrón y seleccionar vidrio de acuerdo al diseño elegido. The copper foil is a stained glass technique is also called “Tiffany technique”, because of the changes that the famed glass artist Louis C. Tiffany made to traditional leaded glass methods. The technique involves covering the individual pieces of glass with copper tape and joining them with solder to create the design. 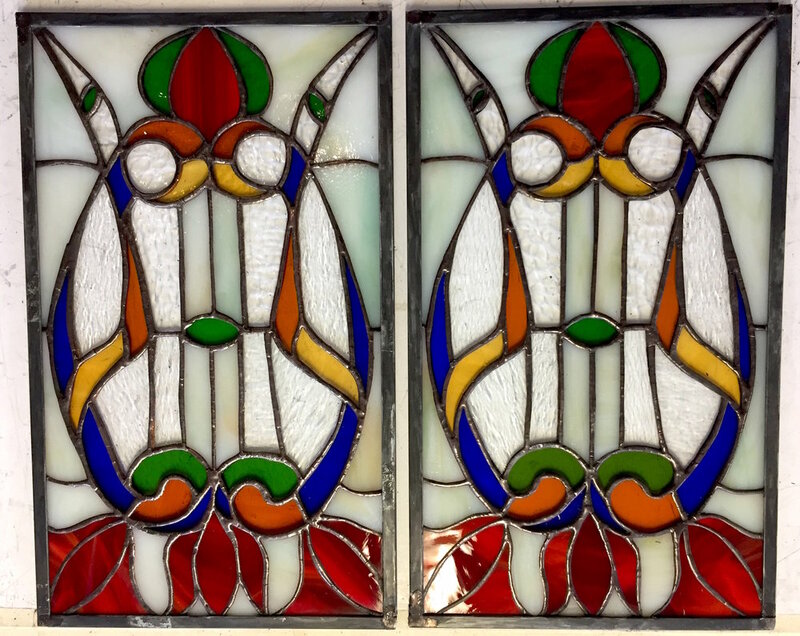 There is no need for the precision glass cutting required by standard leaded glass technique. This technique is recommended for the manufacture of lamps. In this course introductory, students will learn to make a 40 cm x 40 cm glass piece of the design themselves. Students will become familiar with the special tools involved. They will learn to design for glass, how to select appropriate glass and how to cut pieces and join them in the final design using the copper foil method. This has become the accepted technique for making glass lamp shades.